Began with a conference - #LIKEaGIRL which we ran two years ago http://www.wsnet.co.uk/WSNTVi/likeagirl-physical-literacy-conference-review-video . Since then we have been addressing the wide range of issues which teenage girls face as they engage in competitive sport. Starting with ‘why does a girl throw like a girl’ – see how Daley Thompson (GB Olympian) gets into hot water - https://www.youtube.com/watch?v=KX0SC0Znbk8 (is he right or wrong?) – so encouraging posture, strong stable movement (getting it right - not just hitting, throwing harder) and enhanced physical literacy. MoJoManuals are predicated on 'Physical Literacy' but also cover a range of other emotive issues such as: body image, diet, breast health, fit or thin, social media, training with menstruation, coach attitude etc. – which impact how girls engage/drop out of sport – and potentially go on to be elite athletes and confident, mature young women outside of sport. 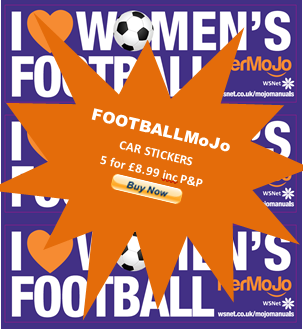 We produced our first ROWMoJo end of last year and have just launched FOOTBALLMoJo and LACROSSEMoJo – the story continues as we start to develop editions such as ‘MaMaMoJo’ etc.– the story continues as we start to develop editions such as ‘MaMaMoJo’ etc. Is a self-funded, cooperative of individuals working independently as associates and part-time volunteers. It is a not-for-profit community approaching one hundred thousand worldwide. Crystallising the issues & coordinating opportunities around WomenSport & Fitness by working in partnership with commercial/NGBs/educational/Charity organisations to raise the profile of WomenSport & SportsWomen. Advocating better access to Sport/FITNess, alleviating gender-bias and empowering women & girls through sport & fitness in their everyday lives. WSNet is not a commercial organisation - relies on donations from a very small group of parents who wanted to help our daughters enjoy sport etc. - and now have momentum that can really change the lives of girls in both western and 'third world' countries.